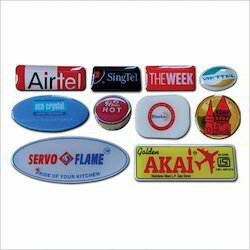 We are manufacturers & exporters of high-quality PU Dome Label. These PU Dome Label are customized in nature and designed while considering clients requirements. PU Dome Label is designed and manufactured using best quality basic material and highly developed techniques. PU Dome Label widely demanded in markets. Our PU Dome Label is available in different size sand specifications.We are exporting PU Dome Label to countries like Uk, USA, South Africa, Kuwait, Bangladesh, Canada, New Zealand , Australia, Sri lanka & So on. With sincere intentions to preserve and uplift our reputation in the market, we bring forth a distinguished array of PU Dome Label. Our offered label is designed and manufactured using best-grade raw material and leading-edge technology in observance with distinct quality standards. 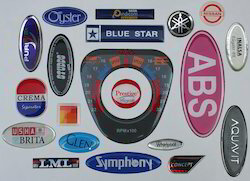 As a market leader of the printing industry, we present clients with the superior quality of P.U.Coated Dome Labels. Designed in accordance with the industry laid norms, the P.U. coated dome labels are appreciated for their alluring appearance and smooth texture. As a market leader of the printing industry, we present clients with the superior quality of PU Dome Labels .Designed in accordance with the industry laid norms, the P.U. coated dome labels are appreciated for their alluring appearance and smooth texture. Based on their precise taste, the clients can avail the P.U coated dome labels in different and varied specifications. As a market leader of the printing industry, we present clients with the superior quality of PU Dome Labels. Designed in accordance with the industry laid norms, the P.U. coated dome labels are appreciated for their alluring appearance and smooth texture. P.U.Coated Dome LabelsAs a market leader of the printing industry, we present clients with the superior quality of PU Dome Labels.Designed in accordance with the industry laid norms, the P.U. coated dome labels are appreciated for their alluring appearance and smooth texture. Motivated to accomplish utmost approval of clients, we present clients with the premium grade of Dome Labels. Their rich attributes such as long sticking nature, eye-catching appearance and good embossing effects, make the dome labels highly demanded. 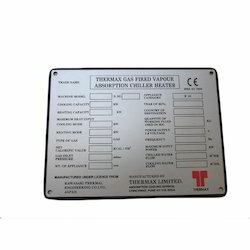 In addition to this, the dome labels can be availed from us in both generic and user-defined specifications. Labels must have minimum radius corners of.030"
As a market leader of the printing industry, we present clients with the superior quality of PU Dome Labels.Designed in accordance with the industry laid norms, the P.U. coated dome labels are appreciated for their alluring appearance and smooth texture. ** Prices will vary as per the requirement of customers. 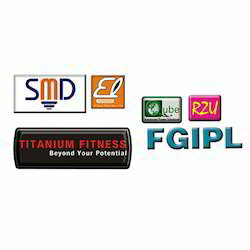 We are a trustyworthy organization offering a wide a gamut of Anodized Label.